Now here is a headline I never thought I would write. 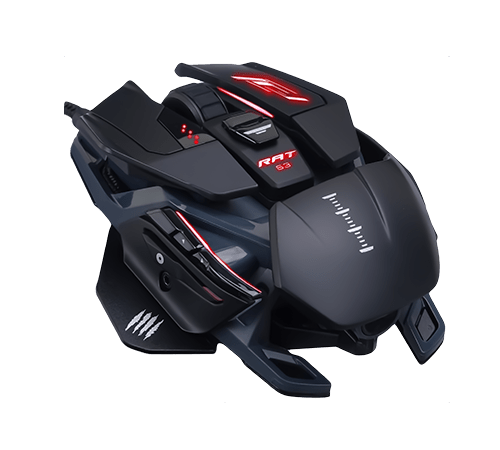 Since Mad Catz filed for bankruptcy in 2017, many gamers the world over lost access to a significant part of ‘gaming culture’. Defiant and unwilling to accept the reality, many Mad Catz fans I know personally have clung to their R.A.T. Gaming mice since then, using it fervently night after night in long gaming sessions after work. Unfortunately, Mad Catz has lost many of their brand lines to the likes of Logitech. However, they still owned all rights to their R.A.T. Gaming Mice. Now, the company has unveiled a brand new range of R.A.T. 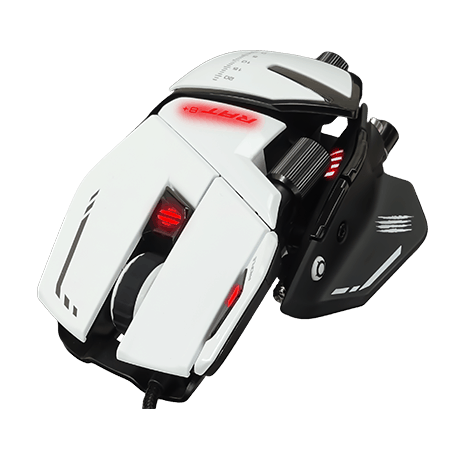 Gaming Mice, and they look incredible. 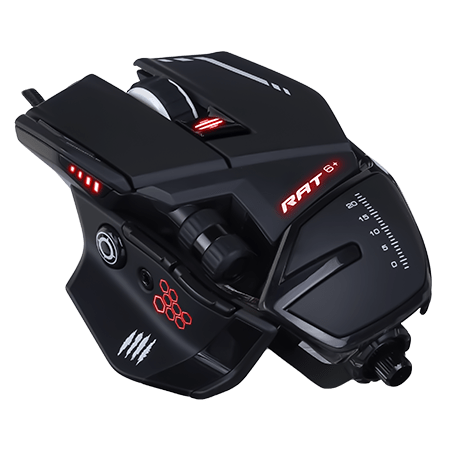 The newly formed Mad Catz Global Limited (which is headquartered in Kowloon, Hong Kong), retains ownership of many of the company’s trademarks and brands. Since its inception in January 2018, the company has released snippets about possible refreshes for many of their brands, and now it seems that they have stuck to their word. 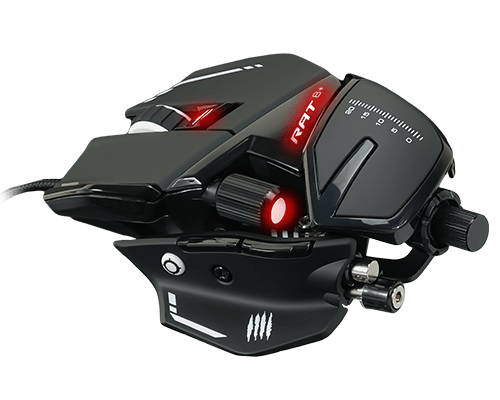 The new range of gaming mice includes the R.A.T. 4+, R.A.T. 6+, R.A.T. 8+, and the R.A.T. Pro S3. 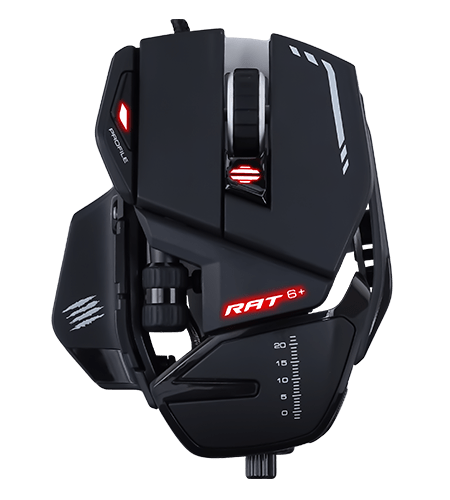 The Mad Catz R.A.T. 4+ features OMRON switches with 20-million click lifecycles. It also has LED multi-zone backlighting and a Pixart PMW 3330 optical sensor that picks up the most minute of movements. Now this is where it is at: the R.A.T. 6+ builds upon the 4+ with nine (9) programmable buttons and an adjustable palm set. It basically brings back the best part of the old mice, and brings them up up to snuff with today’s offerings. 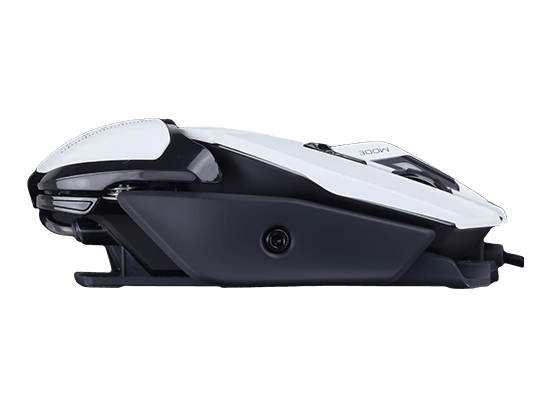 It also has a removable weight system (one of my favourite Logitech G502 features); and includes “Chameleon RGB Intelligent Lighting” that can be programmed to more than 16 million combinations across three zones. It also features OMRON switches that are tested for up to 50 million clicks. The R.A.T. 8+ is the 6+, but on steroids. It adds to the base of the 6+ with an even better Pixart PMW 3389 optical sensor, adjustable palm and thumb rests; as well as a removable pinkie grip. 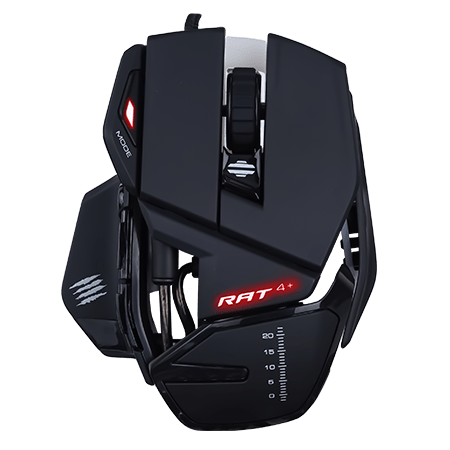 The 8+ also features a hefty on-board chip that lets you store up to three profiles for when you plug your mouse into another system. This is the sugar daddy of the new R.A.T. 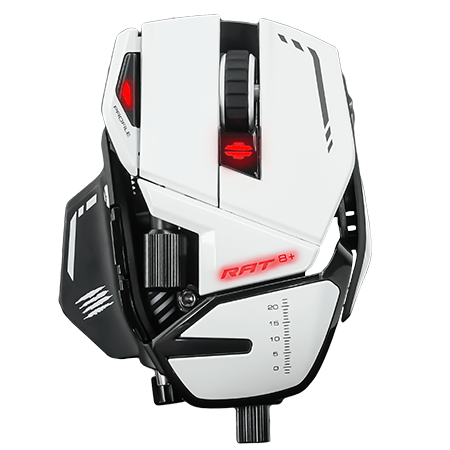 Gaming Mice range. It features OMRON switches that have been tested for up to 50 million clicks, along with a Pixart PMW 3330 sensor. It has an adjustable palm rest that can be tilted 15 degrees in both directions, be adjusted side-to-side, and extended to up to 12mm away from the frame. It also features the same Chameleon RGB lighting system from the 6+, and it looks super sleek. 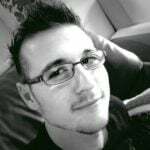 The first regions to get their hands on the new lineup include Germany, Austria, and France. The rest of Europe, and North America, will get theirs “soon”, with other regions such as South Africa following thereafter. 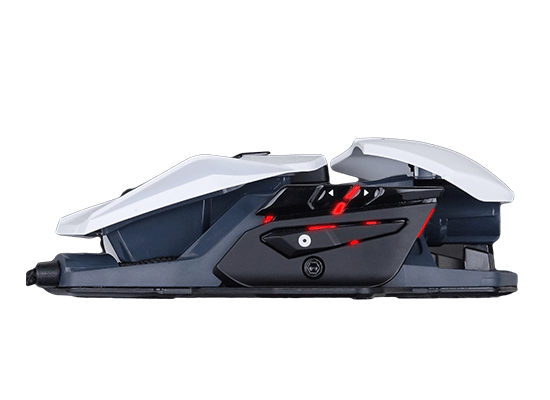 In a teaser video, the company also revealed some of the upcoming products, including new keyboards, headsets, and what I surmise to be, a wireless charging mat similar to what Logitech offers. This is going to be a good run for Mad Catz, I think.